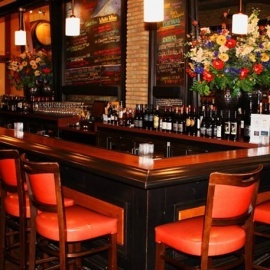 Grapes Wine Bar of Annapolis was the idea of Annapolis’ go-to wine guy, Patrick Bouculat. He created Grapes as a casual and relaxed place were guests can hang out and enjoy not only the most extensive and exotic wine list in the area, but to enjoy those wines with food that is creative, seasonal, and simple. Our menu, which is a small plates format, allows our guests to sample a variety of dishes and a variety of wines in one visit. We feature weekly wine specials, which are selections of the world’s most famous and highly rated wines, rarely offered by the glass, and never at our unbeatable prices. Our knowledgeable staff takes great pride in making our guests feel welcome and at ease with the world of wine and food. 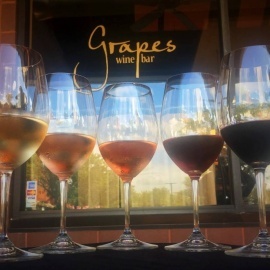 Whether you’re looking for your next favorite wine or a food and wine pairing that makes your palate dance, Grapes is the place for food and wine in Annapolis.